NASA has granted funding to six next-generation technology concepts that it believes could help advance humanity's understanding and exploration of the cosmos down the road. The six ambitious ideas, which were selected under Phase 2 of the NASA Innovative Advanced Concepts (NIAC) program, cover a wide range of potential future applications. One proposal, for example, aims to develop laser thrusters for spacecraft, while another seeks to build tiny but tough robots that could explore other planets and moons en masse. 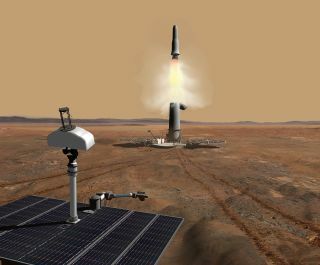 "Advancing these proposals from universities, private companies and NASA researchers to Phase 2 studies allows new, futuristic ideas to move closer to becoming real tools for exploration," Gazarik added. Phase 2 awards are worth up to $500,000 and fund research and development activities for two years. They're granted to the most promising proposals that have previously received NIAC Phase 1 awards, which give research teams about $100,000 to conduct nine-month initial analysis studies. All six of the newly announced Phase 2 projects — which were chosen via a peer-review process that prioritized technical feasibility, potential impact and innovation — are still in their early stages. Most are at least a decade away from possible use on a mission, NASA officials said. "Early study and continued development are critical to guiding our technology investments," Jay Falker, NASA's NIAC program executive in Washington, said in a statement. "Some of the Phase 2 studies that started last year are already attracting the attention of other NASA programs, as well as potential external partners."